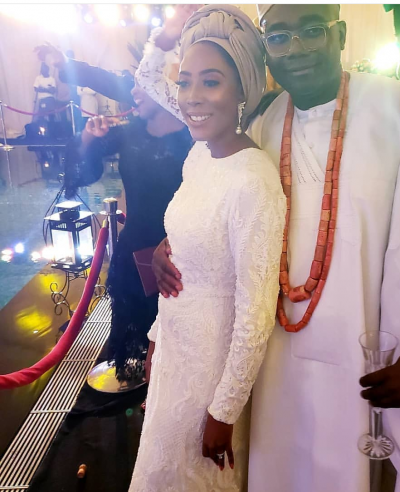 Seven years after the crash of her first marriage to fellow silver spoon kid, Abiodun Kuku, one of the sons of the late Ogbeni Oja of Ijebu land, Chief Bayo Kuku, Funke Fowler, took a step towards moving on by tying the knot on Saturday April 13th, with her fiancé, Aigbovbioise Aig-Imoukhuede at the Oriental Hotel, Lagos. At first because there wasn’t so much frenzy about the wedding in the media, many assumed I would be a very low key, private ceremony especially because of how quickly Funke’s first marriage ended shortly after two lavish ceremonies were held to celebrate the union. 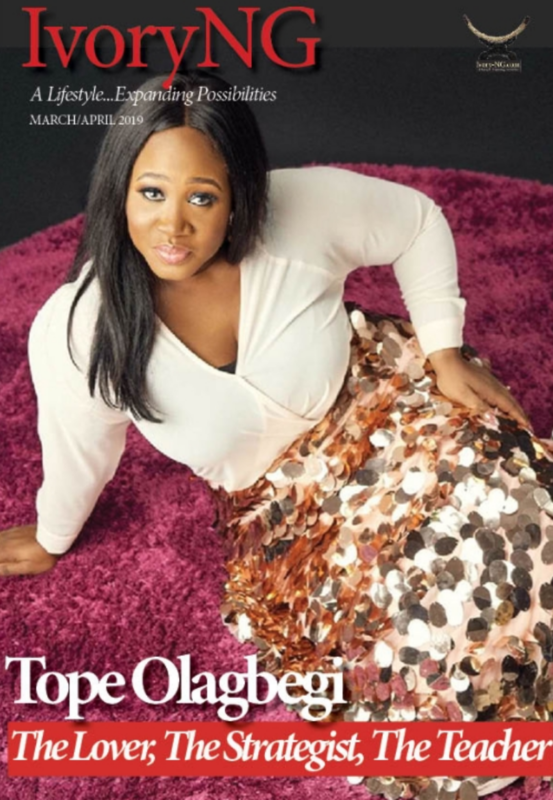 In 2011 when she got married the first time, Lagos was practically shut down for her engagement/traditional wedding. The party which held at Tafawa Balewa Square, Lagos was considered one of the most hyped wedding ceremony in Lagos at that time due to the sheer opulence and extravagance that was on display. Her white wedding ceremony which took place in November of 2011 in Dubai was nothing short of wealth on display as well. Unfortunately, with all trappings of wealth on display at both ceremonies, the centre couldn’t hold between Funke and her ex-husband. Alas! That wasn’t to be as the couple went all out in traditional Lagos style, sparing no expense for the traditional wedding. 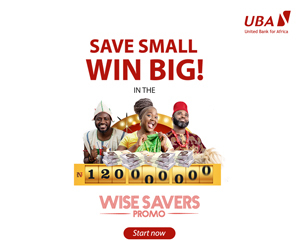 Despite that, her close friends believe that the love that exists between Funke and Aigbovbiose who is having his first adventure in marriage, would be enduring. Expectedly, the wedding had in attendance several big wigs including the richest man in Africa, Aliko Dangote. 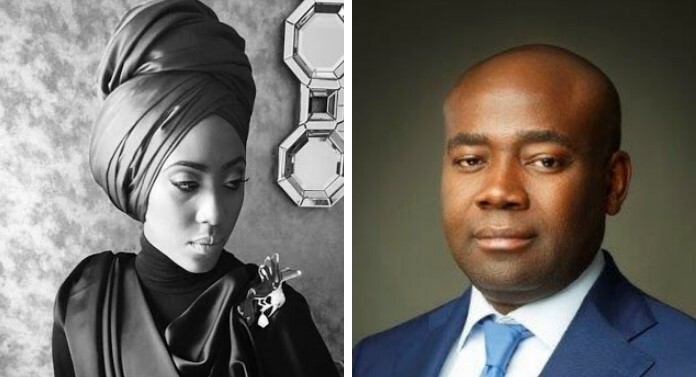 While Funke, the daughter of Tunde Fowler, the chairman of Federal Inland Revenue Service, FIRS, runs a fashion outfit, Heritage with Love, alongside her clothing boutique, Aigbovbioise who is a younger sibling to Aigboje Aig-Imoukhuede, a former MD of Access Bank now chairman of Coronation Capital Markets, is head of Coronation Capital Markets at Coronation Merchant Bank Ltd.